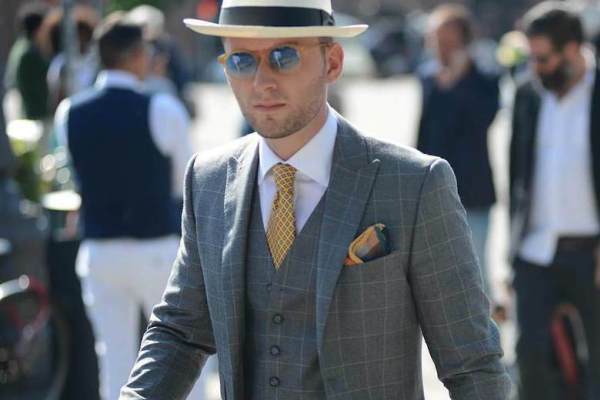 With the power to intrigue the senses and attract the attention of all those he encounters; cologne is a must-have item that no man should leave the house without. Whether warm and woody or fresh and citrusy, fragrance is a powerful tool in the art of seduction. 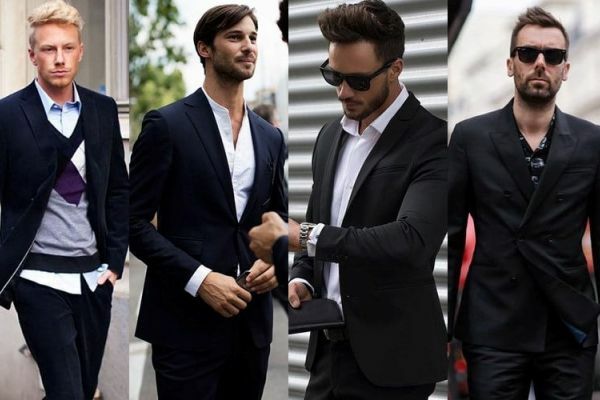 So, if you’re looking to boost your desirability, the right cologne will go a long way. 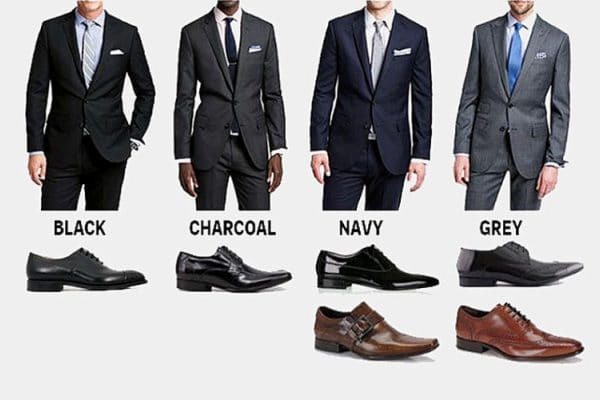 Luckily, we have what you need. Here are the best smelling winter colognes and fragrances every man should own. 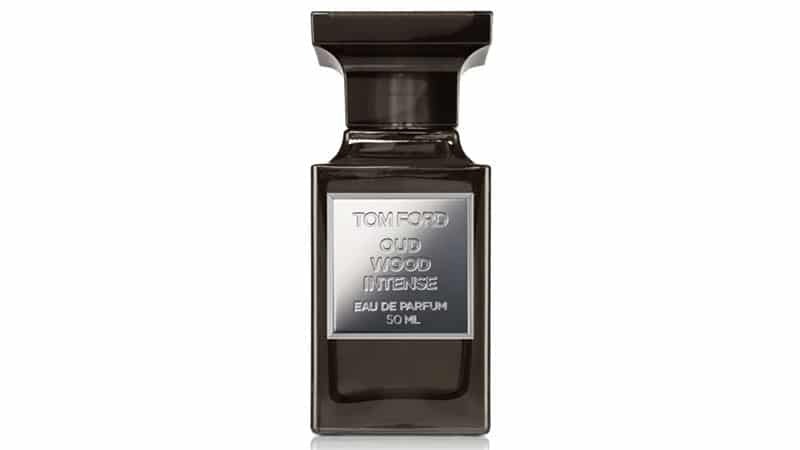 Tom Ford Oud Wood Intense introduces new dimensions of oud at its richest, most luxurious saturation ignited by the smouldering grip of angelica roots and cypress. Often imitated never duplicated, the classic fragrance reveals its full force through a bold intensification. 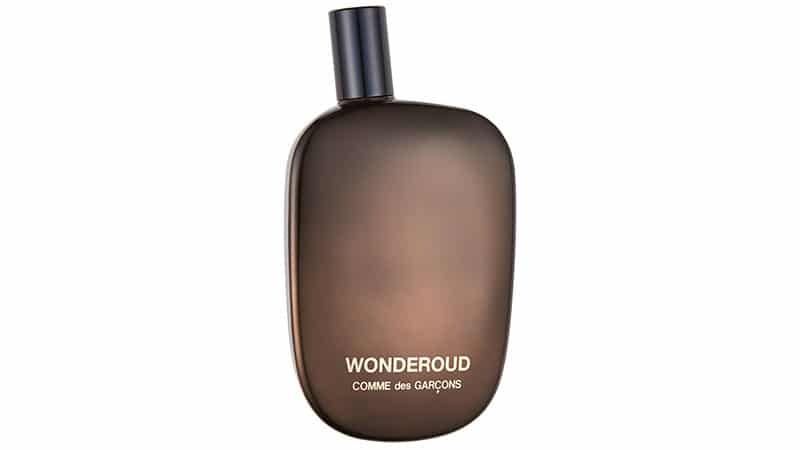 It includes notes of ginger, castoreum and juniper for a rugged, raw leather scent. 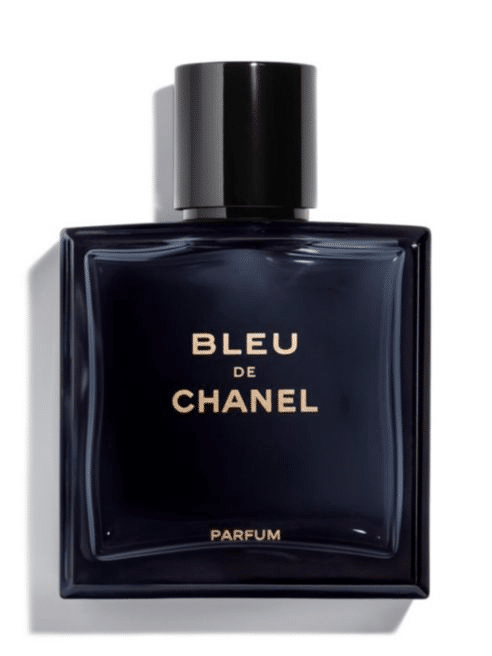 The most intense of the Chanel fragrances, the enhanced and refined Bleu de Chanel Parfum reveals the essence of determination. An aromatic freshness opens, lingering on the warm, addictive fullness of sandalwood and cedar that sweeps throughout the intense, woody fragrance. Housed in an intensely coloured bottle, the fragrance includes notes of lemon, pink pepper, coriander, mint and bergamot. 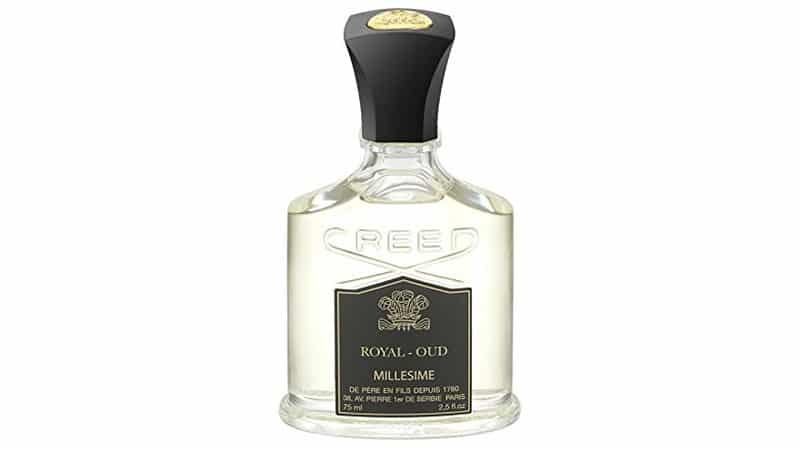 Inspired by the elements of a royal Persian palace, Royal Oud is a warm and stylish fougere fragrance with a beautiful kaleidoscope of wood, spicy nuances and aromatic green. The note of oud is an essential part of the composition, playing its role in balanced equilibrium with osyther elements. Top notes include pink berry, lemon and bergamot mixed with middles notes of galbanum, cedar and angelic root to create a fresh and exotic scent. The bottle is black and gold, playing off the simplistic tones of the fragrance. 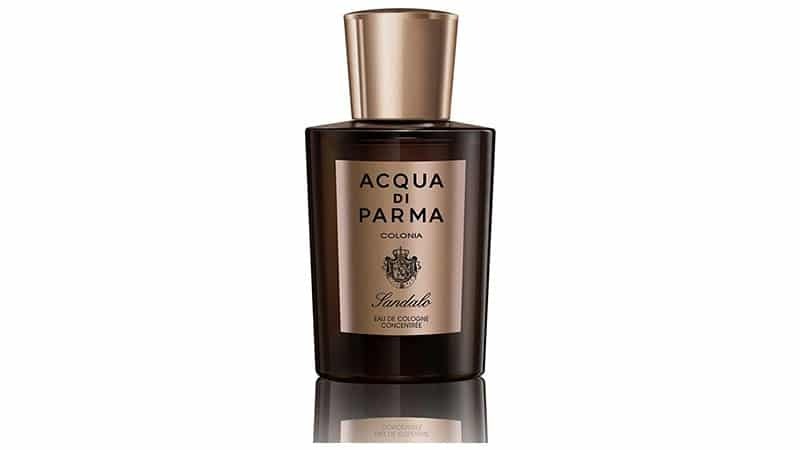 Fresh, citrus notes of Colonia meet the rich and smooth notes of sandalwood to create the fascinating Acqua Di Parma Colonia Sandalo. This scent greets you with top notes of orange, bergamot, lemon and petit grain. At its heart, however, dwells notes of lavender and cardamom mixed with tonka bean, sandalwood and amber. This reinterpretation of Acqua di Parma’s iconic fragrance, Colonia Sandalo has achieved an intriguing yet unexpected result. 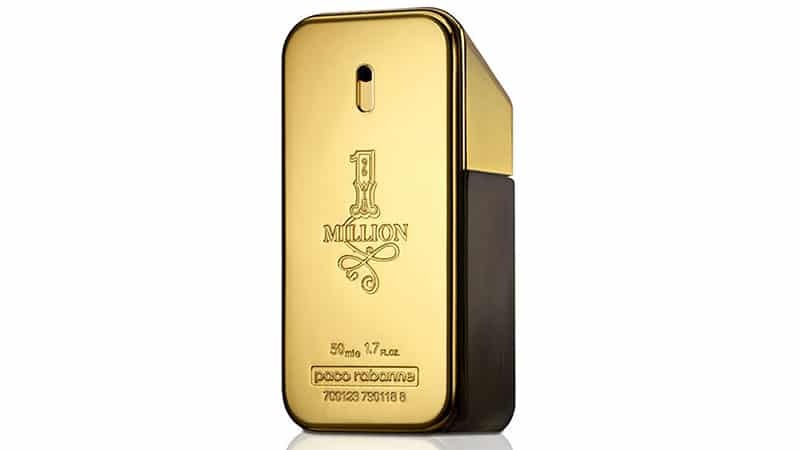 An intoxicating, powerful blend, Paco Rabanne’s 1 million is a fresh and sensual fragrance. Starting out fresh, the scent moves into a spicy leather accord. An arresting alchemy of full-on seduction, the fragrance includes notes of sparkling grapefruit, mint, patchouli and rose as well as spices, red-orange, cinnamon, blond leather, blond wood and amber. A flamboyant and audacious fragrance, 1 million is supremely facetted with a high impact signature. From the Acqua Di Giò Collection, Absolu is inspired by the union between freshwater and warm wood. Made in France, this fragrance celebrates the relationship between man and nature. Top notes of grapefruit, lemon, pear and apple meet chords of patchouli, rosemary, tonka bean and amber wood to create this elegant and refined scent. A warm and sensual fragrance for men, the alliance of water and wood takes us on a journey into timeless masculinity. 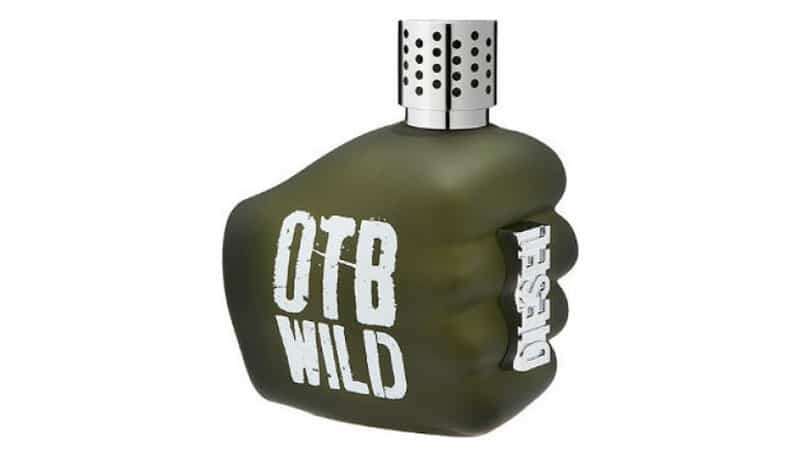 For the man who dares to create his own path and to defend the values in which he believes, Only the Brave Wild is perfect for you. The composition opens with essential oils of lemongrass, grapefruit and black pepper. The heart features nutmeg, lavender, geranium and coumarin, while the base contains notes of vetiver, cedarwood and moss, plus the added creamy character of coconut water. Developed around the iconic oud ingredient, the Noir Absolu Oud Essence from Valentino sees a combination of cedar and sandalwood meet myrtle and saffron to elevate its woody oriental aroma. In a sleek, opaque glass bottle, it is faceted with signature ebony studs for a recognisable reference to the label’s clothing line. 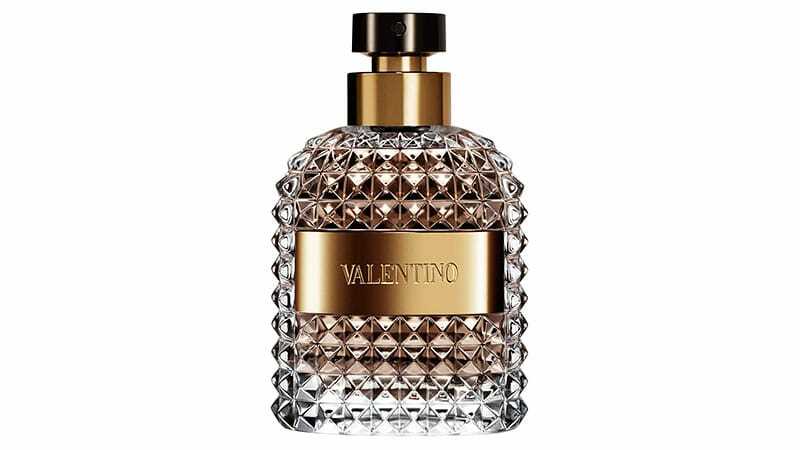 The bottle is a sure collectable, with a distinctive black finish and the Valentino logo featured in gold. 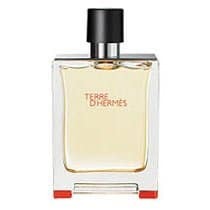 A scent for the modern man, Hermes Terre d’Hermès is a new density that underscores woody, mineral facets, enhanced by the freshness of citrus fruit and shiso. Dominated by cedar, the fragrance goes deeper with the voluptuousness of benzoin and the sweetness of resins. It is a symbolic narrative that expresses the alchemical power of its elements. An Eau between Earth and the sky, a journey inspired by strength and poetry results in a woody, mineral and vegetal mix. Maison Martin Margiela’s Jazz Club immortalises the exhilarating and masculine ambience of a Brooklyn jazz club. The balmy base scent of vanilla, musk, tonka bean, tobacco leaves and vetiver combine to evoke a familiar but forgotten moment—a night’s vacation to a secret jazz club. Its woody, sweet and leathery scent creates a melody of leather armchairs, classic cocktails and grand pianos. 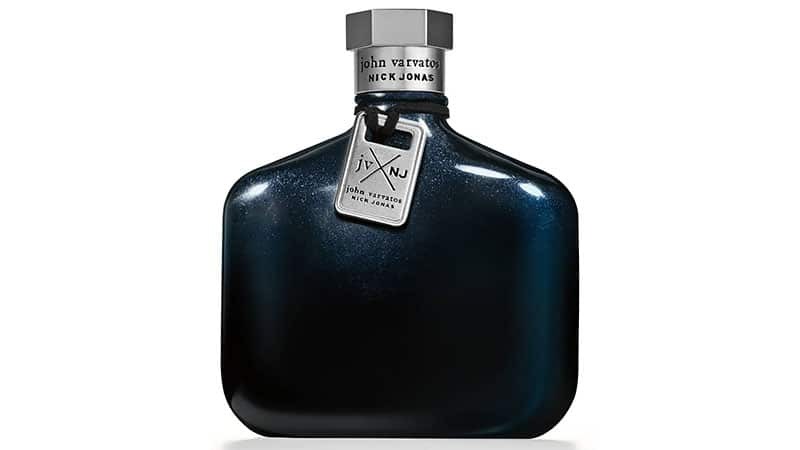 A dynamic fragrance with rich contrasts, the John Varvatos and Nick Jonas collaboration is an irresistible fragrance that captures the upbeat energy of the city as the sun sets and nightlife comes alive. A citrusy hedione blends with an enduring freshness of aquatic cascalone to create a smooth sophistication. Specifically, bergamot, mandarin oil, pink pepper and makrut lime leaves make up the scent’s top notes. The middle notes are a playful blend of mint, clary sage, rosemary and lavender. Intriguing tones of luxurious woods infuse a powerful and brilliant tonality. 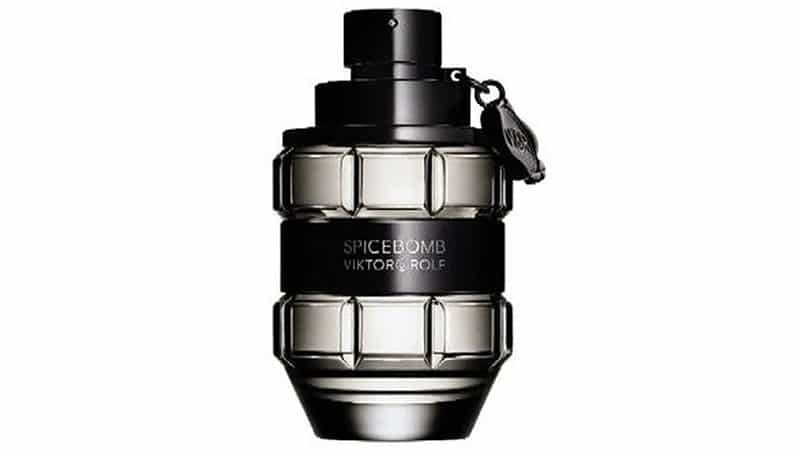 The male equivalent of the famous Flowerbomb fragrance, Viktor & Rolf Spicebomb is an explosive mix of oriental-wood and spice. Perfumer Olivier Polge blends spices with sensual undertones, creating two opposing scents: the explosive and icy one and the addictive and fiery one. The explosive one contains grapefruit, elemi, bergamot and pink pepper. The fiery accord includes notes of saffron, chilli, leather, tobacco and vetiver. Fabien Baron designed the bottle to look like a hand grenade, which “triggers” with the designer’s logo. 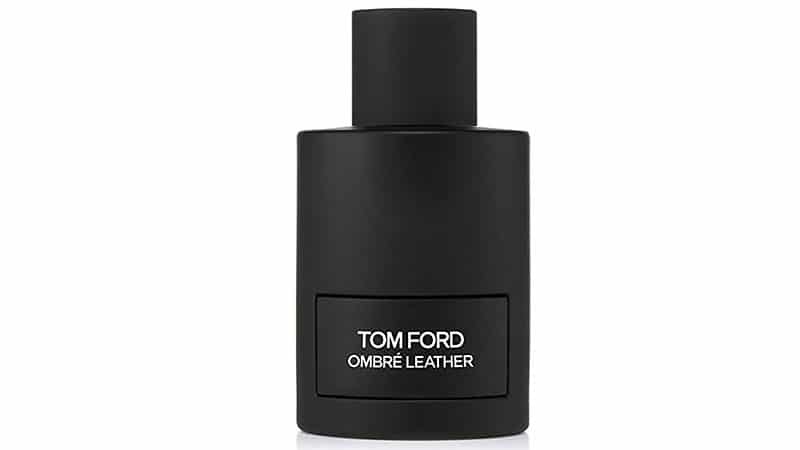 Launched in 2018, Ombre Leather by Tom Ford is a fragrance for men and women. Inspired by the desert heart of the west wrapped in leather, this fragrance combines cool spices with floral leather for a unique unisex scent. Ombre Leather is incredibly fresh, shown with its notes of cardamom, jasmine and sambac. This powerful blend of smells is also paired with patchouli, amber and moss, producing a rich, luxurious scent. 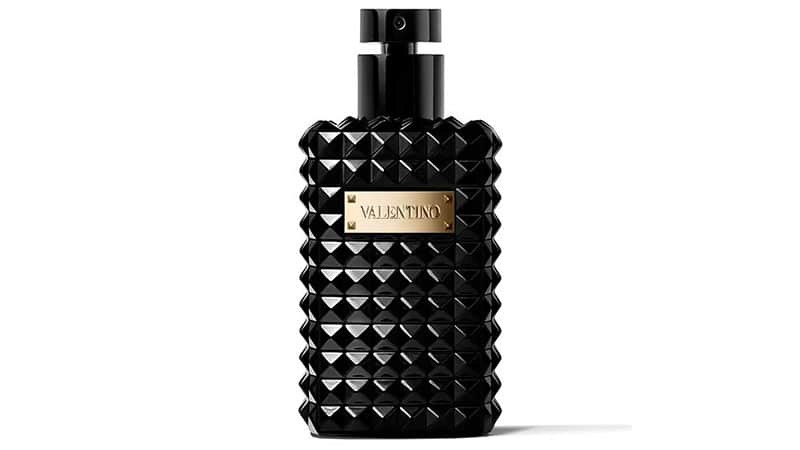 Valentino Uomo derives the intensity of its character from a classic Italian elegance. Vibrant myrtle highlights the lurking sparkle of bergamot, as the richness of leather and the intensity of coffee harmonise around a suave centre, providing the fragrance with its dark, velvety depths. In this fragrance, crema di gianduia corresponds well with the notes of leather and cedarwood, working together to create a darker, stronger smell. The bottle holds a tactile presence, while its shape, revealing the fragrance’s amber juice, suggest a carafe of rare liquor. Made in Spain, this powerful unisex fragrance is the ultimate representation of a true wood scent. Rich notes of vetiver and patchouli create an earthy aroma for a fragrance that is fresh yet soft. Scented with rich, aromatic oud, this lavish scent is indulgent and exotic, with notes of cedarwood, sandalwood, pashminol and guaiacwood. Used only for the most precious and mythical concoctions, its rich and powerful character brings a woody, balsamic, animal and even honey feel and texture to a fragrance. 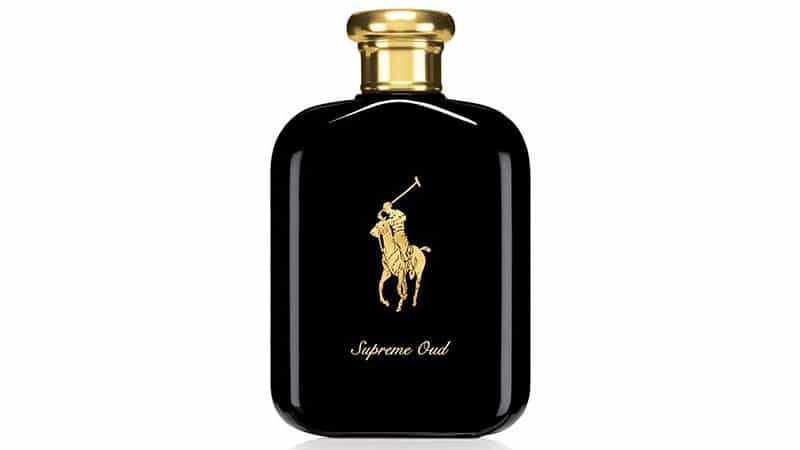 Polo Supreme Oud is an intriguing blend of precious spices, rich woods and smoky oud creating a rugged, masculine scent. The fragrance offers quality, strength and longevity. The oriental, woody structure begins with spicy accords of cinnamon and pink pepper. The heart features the smoky accord of oud, laid on the base of vetiver and guaiac wood. Packaged in a sleek black and gold bottle, this fragrance deserves a spot in your collection purely for its aesthetics alone. A woody aquatic fragrance for both women and men, Oud Minerale by Tom Ford merges rare and precious oud with the fresh abundance of the ocean, capturing the refreshing play of sea and surf against the burning flame of smoked wood. 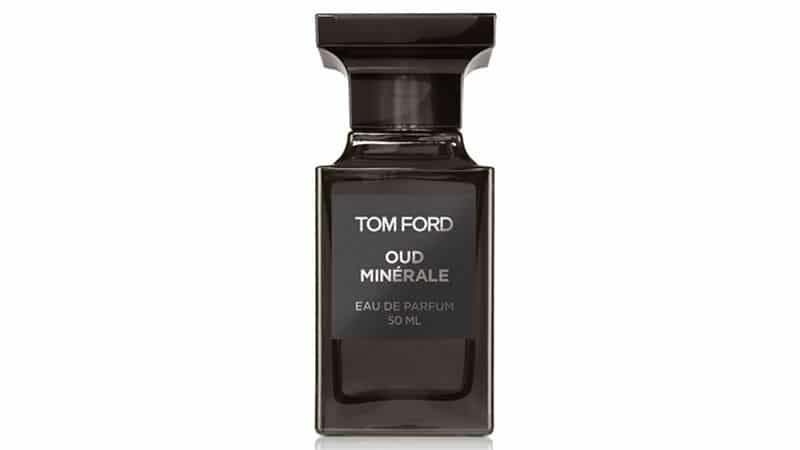 Tom Ford’s reinvention of oud marks an olfactive watershed that matches two of the world’s most fascinating elements to reveal tonalities both powerfully transcendent and exhilarating. The fragrance features sea salt, agarwood, pink pepper, styrax, seaweed, balsam fir, pepperwood and ambergris. Santal 33 Eau de Parfum is a unisex fragrance that captures a defining image of personal freedom and the spirit of the American West. It is a signature scent with notes of iris, violet and spice for those wanting to make a lasting impression. Santal 33 Eau de Parfum was crafted in collaboration with Frank Voekl, the nose behind Musk 25, Baie Rose 26, Iris 39 and Santal 26 candle. 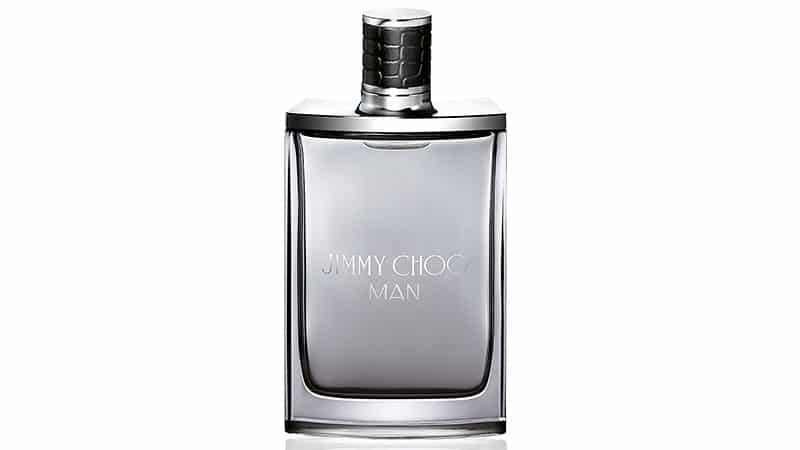 Jimmy Choo Man Eau de Toilette is for the man who is confident and sophisticated and has a sharp sense of style. 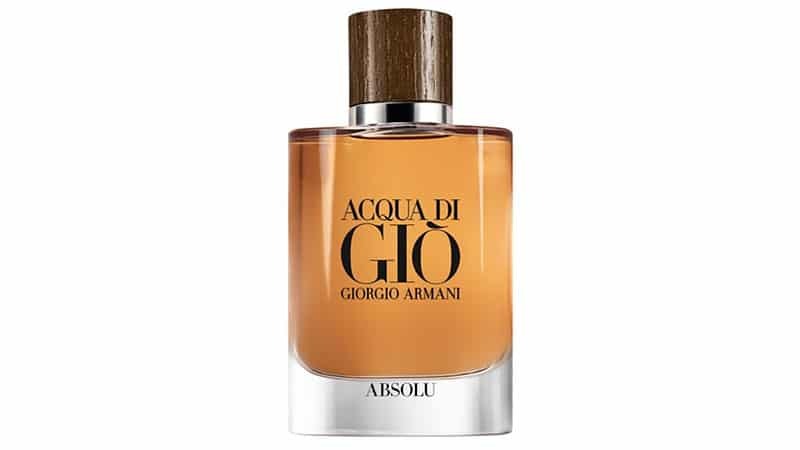 It is a modern and powerfully fresh fragrance that combines aromatic, fruity and woody notes. It includes accords of pink pepper, honeydew melon, pineapple leaf, patchouli, lavender and suede. 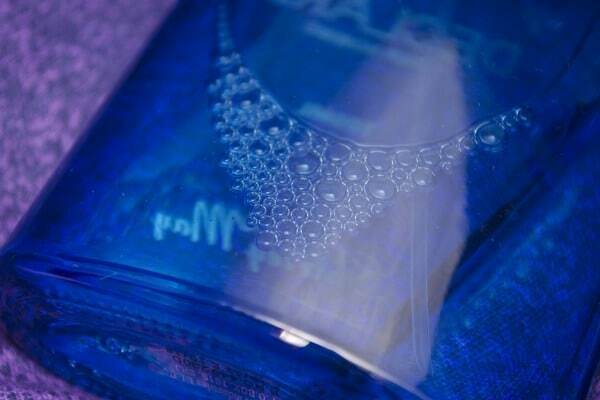 The signature scent combines distinctive materials, leaving a lasting imprint on all passers-by. 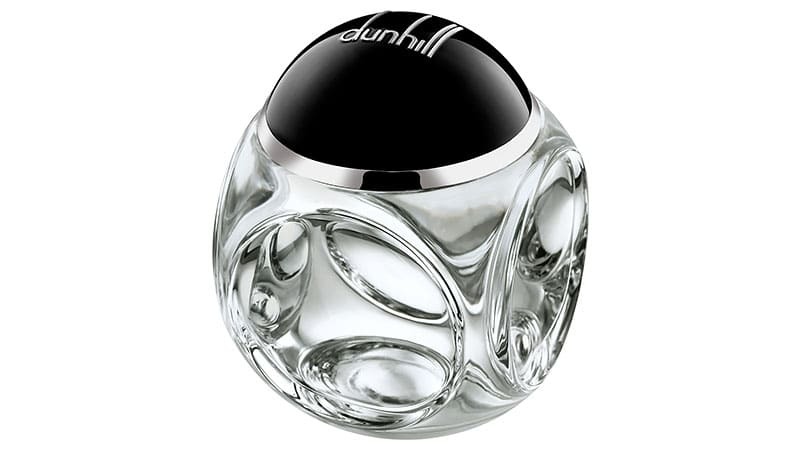 Experience freshness like never before with the Dunhill London Century Eau de Parfum spray; an aromatic-woody fragrance perfect for the winter months. The fragrance makes an entrance with a citrus opening, merging bright notes of grapefruit, bergamot and mandarin. This luminance continues in the heart with a neroli facet; before taking a spicy turn with the addition of olibanum and cardamom. In the base, musk and sandalwood smooth out the composition, while a nod of exotic cypriol provides a seductive edge.